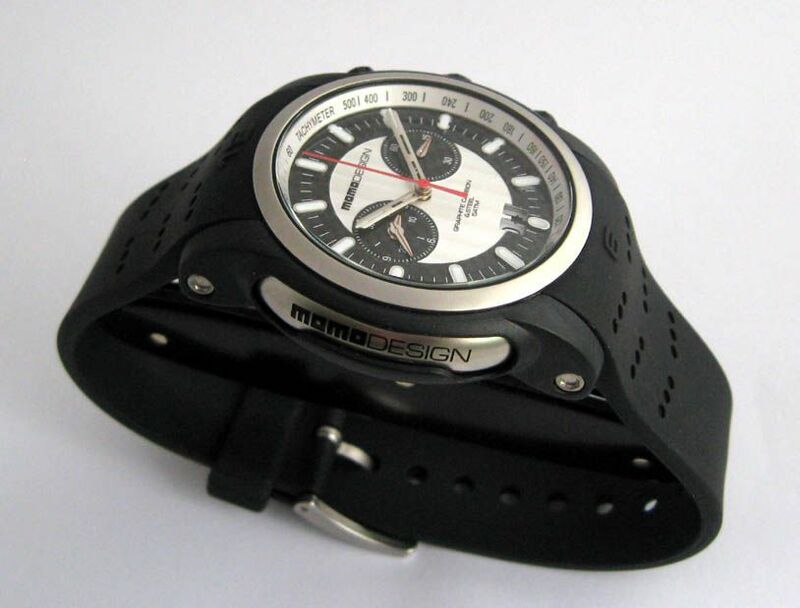 Momo Design Komposit XL Chronograph. 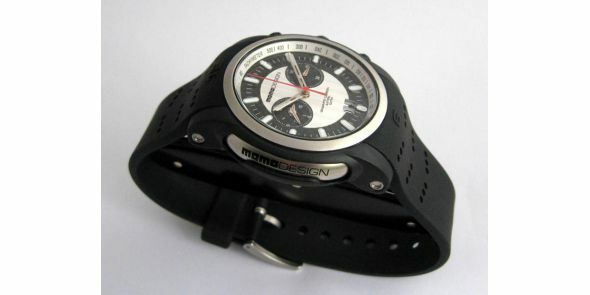 Momo Design Komposit XL chronograph. 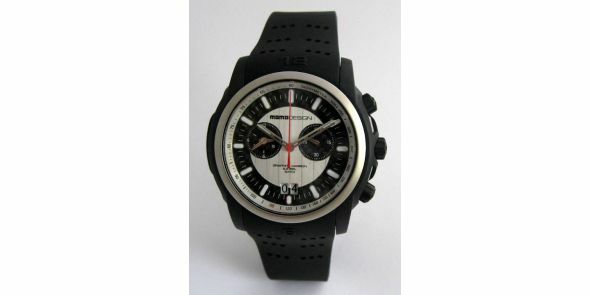 High performance and futuristic design and construction chronograph sporting good looks and racing feel to it. The Komposit XL is made to high standards and unique Italian styling by one of the Italy’s best known design companies, Momo Design. It is a well designed watch utilising modern materials to make it very durable yet light in weight. The case is combined 316L stainless steel and carbon fibre with a satinised finish to the steel. It also got a fixed internal sixty minute bezel. The watch has got a carbon fibre crown and chronograph pushers protruding from the steel insets. It has got a hardened mineral crystal. The watch is water resistant to 5 ATM which is approximately 50 metres. 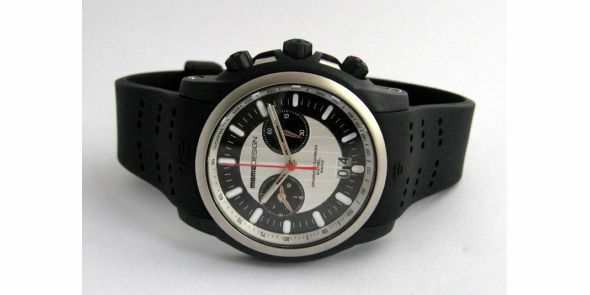 The movement is a quartz Ronda 5020-B Swiss made movement which is commonly used in Swiss made chronograph watches. 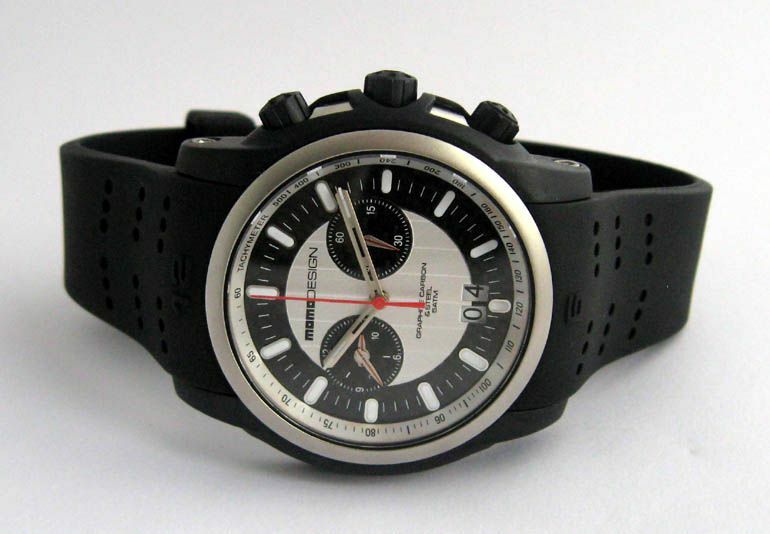 It has a thirty minute elapsed time chronograph in a left right chronograph sub dial configuration. There is a big date at the 3 position with two separate day wheels for tens and units. It comes on a rubber strap with satinised steel pin buckle. Brand new with factory warranty with box and papers. 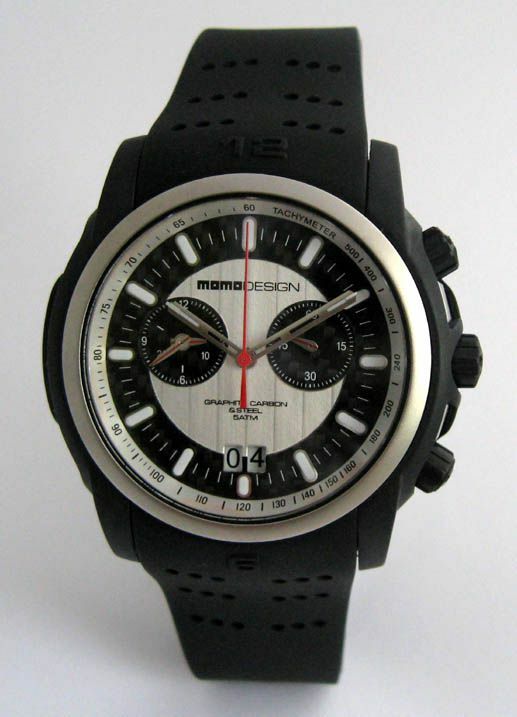 Momo Design reference number MD096-04FCSL-RB. Dimensions are: width is 44 mm excluding crown, 46 mm including crown, lug to lug is 48 mm and thickness is 12 mm. MMD 12.